Find Geist, IN Homes for sale. View Photos, Maps and MLS Data Now! Feather Cove - This home really has it all, come check it out before it’s gone! MLS#21633792. Geist Realty, LLC. Woods At Geist Overlook - Neighborhood has walking trails & is minutes from schools, shopping, & more! MLS#21633401. Keller Williams Indy Metro NE. 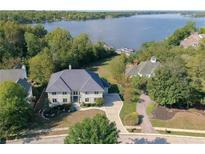 Admirals Sound - Walk out to Level Yard, Enjoy Sunset views & have fun at the Lake MLS#21633471. Berkshire Hathaway Home. Springs Of Cambridge McCordsville - As you step onto the main floor deck or basement patio you're greeted by a wooded rolling backdrop. MLS#21634871. CENTURY 21 Wilson & Associates. Westbrooke At Geist McCordsville - Photos shown may be an artist rendering, model home, or of the same model. MLS#21633714. CENTURY 21 Scheetz. Admirals Pointe - Hurry, this will not last at $339,900! MLS#21634907. Armstrong Real Estate Brokerag. Masthead Geist - Expansive great room leads to large screened porch perfect for entertaining or enjoying evenings over looking the deck & the great out door space w/ fully fenced rear yard. Custom plantation shutters throughout. MLS#21631255. F.C. Tucker Company. Springs Of Cambridge McCordsville - Beautiful Landscaping! Move-In Ready for Summer! MLS#21633695. Berkshire Hathaway Home. Feather Cove - A must see; you won’t be disappointed! MLS#21632691. RE/MAX At The Crossing. Masthead Fishers - Boat dock located off Geist & Fall Creek. MLS#21632258. 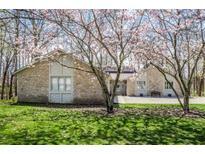 Keller Williams Indpls Metro N.
Masthead Fishers - Over-sized 26' x 38' 3-Car Garage with Stairs to 11x38 Storage Loft. MLS#21632128. Ridgeline Realty, LLC. The neighborhood offers convenient water access to Geist Lake, boat docks available for lease, an awesome community pool AND, WALKABILITY TO A RATED SCHOOLS, PLAYGROUNDS, shopping & dining. MLS#21625673. F.C. Tucker Company. Masthead Geist - Huge deck overlooking large fenced yard with mature trees. Too many features to list! MLS#21632409. F.C. Tucker Company. Feather Cove - All HVAC equipment replaced 2017. Lovely, private wooded lot. MLS#21632739. L.S. Dawson Co., Inc.. Tons of windows and light, and lovely wooded lot with privacy. MLS#21632988. F.C. Tucker Company. Pebblebrooke At Geist - Location is conveniently located to Fishers, Geist and surrounding areas. This is a MUST see! MLS#21631862. Trueblood Real Estate. Woods At Geist Overlook - A large basement with a full bath. It won't last long. MLS#21632715. Highgarden Real Estate. Breakwater - Walk-out Lower Level w/ flex space, wet bar & 5th Bedroom/Exercise room. MLS#21632325. F.C. Tucker Company. Windjammer Bay - 6 yr old and Exterior Paint only 2 yr old. MLS#21632340. RE/MAX Results. Admirals Sound - Dock extends 23 feet out into lake and Deep Water. MLS#21630408. F.C. Tucker Company. Feather Cove - Being sold "as is" price reflects updates needed. MLS#21632360. Allegiant Realty, LLC. Windermere - Desirable Fishers Neighborhood w/ community pool & playground. MLS#21631787. Berkshire Hathaway Home. With newer roof and updated mechanicals, your search stops here! MLS#21630912. CENTURY 21 Scheetz. Just a short stroll to the Chateau (neighborhood club house). MLS#21629173. CENTURY 21 Scheetz. These statistics are updated daily from the Metropolitan Indianapolis Board of REALTORS® Multiple Listing Service. For further analysis or to obtain statistics not shown below please call Highgarden Real Estate at 317 771 6632 and speak with one of our real estate consultants.